Creed formed after Scott Stapp and Mark Tremonti, friends at Florida State University and high school classmates at Orlando's Lake Highland Preparatory School, decided to form a band, recruiting Brian Marshall and Scott Phillips to complete the quartet in late 1994. The band was originally called Naked Toddler, Marshall later suggested the name Creed after the band he played in named Maddox Creed. The four members had already written and collaborated three of the songs that would go on to become tracks on their chart-topping debut album My Own Prison. The songs were "One", "Sister" and "What's This Life For". Creed's debut album, My Own Prison, was independently released in 1997 and only cost them $6,000 to produce, and distributed to Florida radio stations. This drew the attention of several labels that agreed to see the band, only to pass. Rejected, Creed was playing a small gig when Diana Meltzer from Wind-Up Records heard the group. She had heard their independent album, and after hearing them live, signed the band to her label. After a remix to make it more radio friendly, My Own Prison was re-released by Wind-up Records across the country. 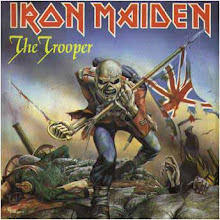 The album was a surprise success, reaching the Top 40 on the Billboard Top 200, and spinning off several singles ("My Own Prison", "Torn", "What's This Life For", and "One") that topped the rock radio charts. The band's hit song "My Own Prison" was also featured as a live performance on the charity album Live in the X Lounge. The band covered Alice Cooper's song "I'm Eighteen" for The Faculty soundtrack in 1998. Their second album, Human Clay, was released in 1999 and debuted on the Billboard 200 album chart at number one, based on the strength of its first single, "Higher", which spent several weeks on the top of the rock radio charts. It wasn't until early 2000 that the single crossed over onto pop radio going to the Top Ten on the Billboard Pop Chart, and Creed became a household name. The follow-up single, "With Arms Wide Open," also hit number one that fall. Meanwhile, Brian Marshall quit the band, and Brett Hestla (Virgos Merlot, Dark New Day) took over on the Human Clay tour, and subsequent tours. Around that time, Fred Durst of Limp Bizkit bad-mouthed Stapp at New York's Krock 92.3 "Dysfunctional Family Picnic Concert" where they were both performing. In response to this, Scott Stapp invited Fred Durst to an open boxing match. In the fall of 2001, "My Sacrifice", the first single off Creed's third album Weathered, was used in a series of promotional tribute videos made by World Wrestling Entertainment. The song peaked at #4 on the Billboard Hot 100 singles chart on February 9, 2002, and #1 on the Mainstream Rock Tracks chart for 9 consecutive weeks, starting in December 2001. In early 2002, "Bullets" was released as a single, along with a costly, special effects-laden video. The song and video were possibly Creed's least successful since achieving mainstream success. However, Creed rebounded quickly, with one of the summer's biggest hits, "One Last Breath". Weathered was also Creed's first and only album without bassist Brian Marshall. The bass on the album was performed by Tremonti. Stapp was involved in a car accident in April 2002 and it had seemed that the tour they had planned was not going to happen. However, Stapp recovered in time to appear in the last few shows. "Don't Stop Dancing" was a minor hit for Creed in late 2002/early 2003. On June 4, 2004, Creed officially announced their break-up. Stapp began recording his debut solo album, The Great Divide with Roadrunner Records recording artist Goneblind. The other band members (including former bassist Brian Marshall) formed a new band, Alter Bridge, with Myles Kennedy. Touring bassist Brett Hestla has since joined the band Dark New Day. On November 22, 2004, Creed released a greatest hits album. In 2008, Mark Tremonti, along with Alter Bridge singer Myles Kennedy, appeared as guests on two separate tracks on Sevendust's album Chapter VII: Hope & Sorrow. The two also appeared on Fozzy's album All That Remains, and Tremonti later released a guitar instructional DVD titled Mark Tremonti: The Sound & The Story in late 2008. In 2007, Alter Bridge released their second studio album, Blackbird, which included the hits "Rise Today" and "Watch Over You". In 2009, Creed's song "Higher" from Human Clay was listed at #95 in VH1's list of "100 Greatest Hard Rock Songs". On November 3, 2008, Blabbermouth.net reported that a Creed reunion could materialize in 2009. According to Twisted Sister frontman Dee Snider, Alter Bridge vocalist Myles Kennedy was rumored to replace Robert Plant for a Led Zeppelin reunion tour in 2009. Blabbermouth states that "if Kennedy should take the job with the Zeppelin offshoot, the sources have indicated that there are already "significant dollars" on the table for a Creed reunion." On December 2, Rolling Stone reported that an announcement of a Creed reunion was "imminent". However, Kennedy himself denied the rumor that he would be fronting "Led Zeppelin or any offshoot of Led Zeppelin," but also said that he did indeed jam with the instrumental members of the band. It was later stated by Jimmy Page's manager that there will be no Led Zeppelin reunion and that Myles Kennedy will remain in Alter Bridge to record the band's third album. Because of this, a Creed reunion appeared unlikely. However, on March 17, 2009, a teaser trailer for a possible tour was leaked, pulled, and then on April 2 re-published on the re-launched Creed website, Creed.com, which states "coming summer 2009". Meanwhile, Mark Tremonti, Scott Phillips, Brian Marshall, and Alter Bridge's publicist, Mark Tremonti's brother Michael, all stress that Creed's reunion will not affect Alter Bridge in any way and that they will go back into the studio after the Creed tour to record their upcoming third album. Tremonti also stated that, in spite of this, both bands will co-exist, so it is expected that Tremonti, Phillips, and Marshall will "switch off" between the two bands while Scott Stapp and Myles Kennedy work on solo material while the other band is touring and recording. A blog was posted on Alter Bridge's MySpace page stating that Alter Bridge by no means has plans of breaking up as a band. During June 2009, Stapp, Tremonti, Marshall, and Phillips performed together for the first time in 10 years on AOL Sessions, showing the band playing "Higher", "With Arms Wide Open", "My Own Prison", and "My Sacrifice". In addition, the band performed live on Fox & Friends on June 26, 2009. The new album entitled Full Circle came out on October 27, 2009. The first single from Full Circle, "Overcome", was posted on the band's official website on August 19, the same day the radio premiere started along with its release as a digital download on August 25. The second single, "Rain", hit radio on September 23 and became available on October 6 as another digital download. 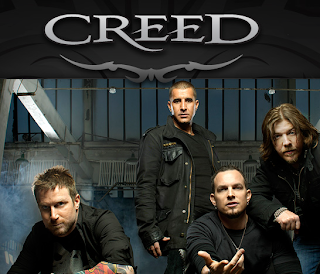 The Creed 2009 Reunion Tour kicked off on August 6, 2009, and concluded on October 20, one week before the release of the album. However, on October 24, it was confirmed by Scott Phillips that Creed was to go on a World Tour in March 2010, starting with another US tour, followed by Canada, Australia, New Zealand, South America, and Europe. This will be a tour in support of the new album. It was also confirmed that Creed has more albums to come after Full Circle.